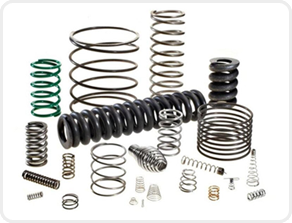 Compression springs are helical springs with an open-coil configuration designed to store energy or to resist a force applied along the axis of the coil. The most common form of compression spring is a straight cylindrical coil spring with the ends squared (closed) and a common example is a ball point pen spring. The end coils may also be ground to improve squareness and reduce buckling. the module Advanced settings. 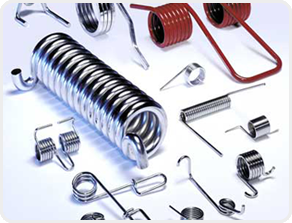 Extension springs are springs which absorb and store energy by offering resistance to a pulling force. Typically, extension springs are made from round wire and are close wound with initial tension. Extension applications include: tape cassette players, balance scales, garage doors, washing machines and applications which requiring various types of tensioning devices. 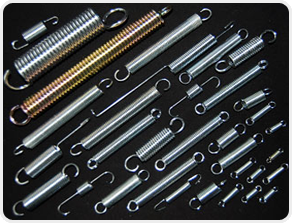 Various types of ends are used to attach the extension spring to the source of the force. 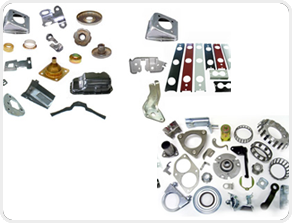 Torsion springs, whose ends are rotated in angular deflection offer resistance to externally applied torque. The wire itself is subjected to bending stresses rather than torsional stresses, as might be expected from the name. Springs of this type are usually close wound, reduce in coil diameter, and increase in body length as they are deflected. The designer must consider the effects of friction and arm deflection on the torque Special types of torsion springs include: double torsion springs and springs having a space between the coils to minimize the friction. Double torsion springs consist of one right-hand and one left-hand coil section connected together and working in parallel. Wire forms, as with spring clips, can be manufactured using any specific material. Once the tooling has been made, the wire forms can be fabricated complete off the any CNC machine or four slide at several thousand pieces per hour. 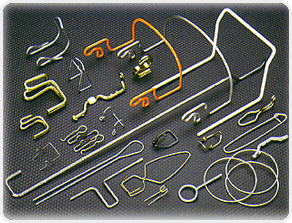 Wire forms can be manufactured in all types, shapes and sizes to meet your manufacturing needs. 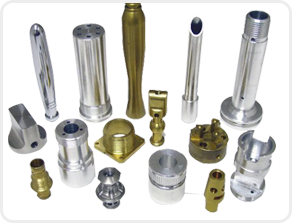 SSM is a distributor of high volume precision machined parts using brass, steel, stainless steel and aluminum. Our equipment includes New Britain, Wickman and Davenport multiple spindle screw machines. We also offer CNC machining for tight tolerance and lower volume applications, as well as secondary operations, centerless grinding, light assembly, and sub-contracted plating, anodizing, heat treating, etc. 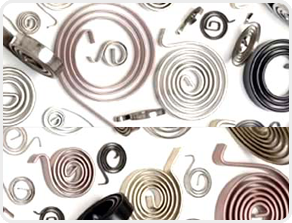 Flat springs covers a wide range of springs and forms fabricated from flat strip material which, on being deflected by an external load, will store and then release energy. Flat springs and strip forms are designed to perform functions beyond normal spring functions, e.g. can act as a latch, or hold a part in position. Power springs, also known as clock springs, are constructed by winding a strip of spring-tempered material on an arbor in a circular case . The spring stores rotational energy by being stressed when wound around the arbor. The spring delivers rotational energy to the arbor when it rotates, by expanding to the maximum curvature allowed by the keeper.